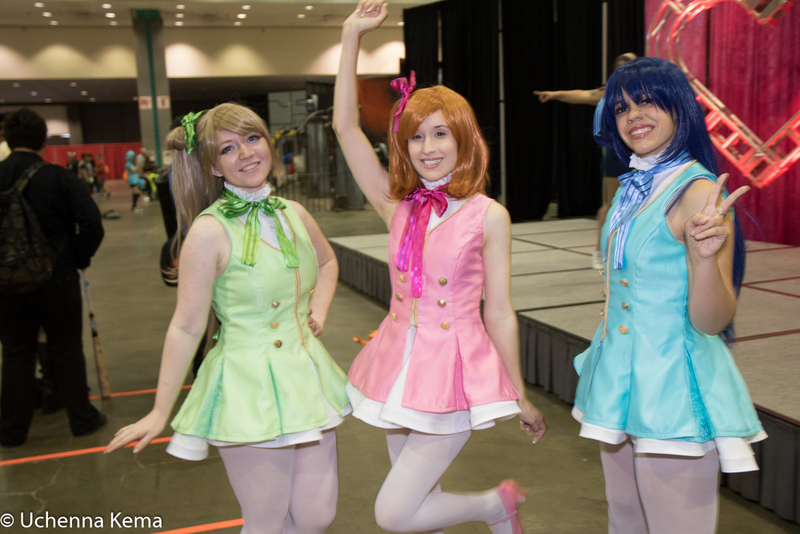 A photoshoot of 3 cosplayers in the "Start Dash (3 Member version)" cosplay. 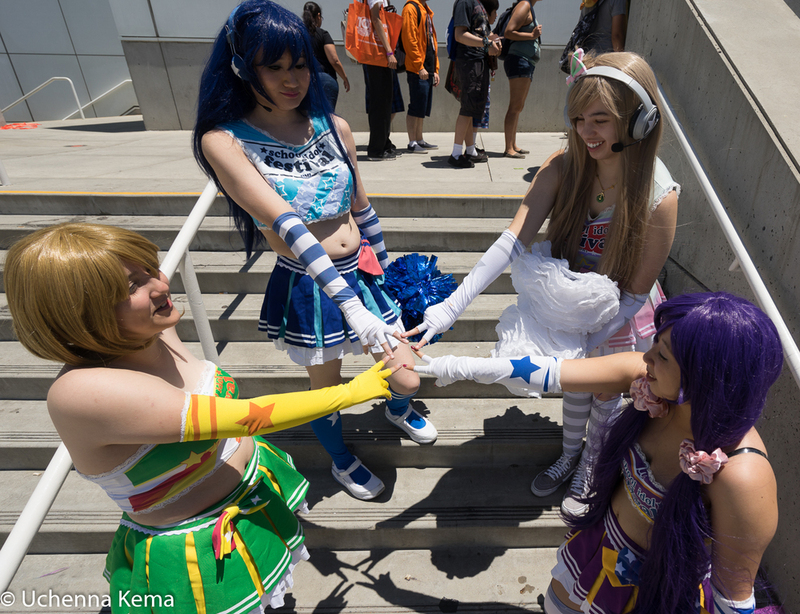 This cosplay is inspired by the actual anime scenes of the 2nd year members of μs! 3 cosplayers in the 'relaxed uniform' of Otonokizaka High School.